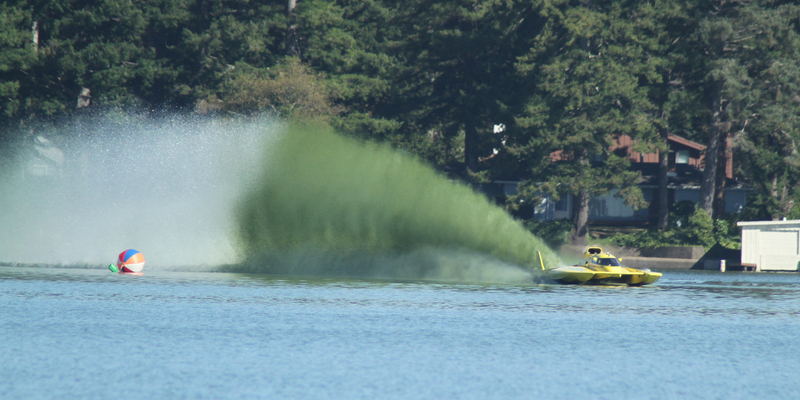 Members of the Columbia Outboard Racing Association will make another attempt at setting world record times in the 2014 Rockey Stone Memorial Kilos and John Meyers Memorial Quarter Mile, Saturday, October 4th and Sunday, October 5th. The race course is set up in a straight line from East Devils Lake State Park to Sand Point; a total length of one “Kilo” or kilometer (5/8 mile) as well as a second course equal to one quarter mile. In these events each driver competes against the clock, and gets six runs, three in each direction. The final speed is the average of two consecutive runs in opposite directions. The driver can take all of his runs at one time or delay the balance after one run waiting for better conditions. The Rockey Stone Memorial Kilos began in the 1950’s and have run annually as an American Power Boat Association sanctioned event. All involved are hoping for better weather for day two. Please take a look at our photo gallery of previous years events.